July 17, 2018 — Comments are off for this post. Marc Meijers, founder and owner of design studio MMD Design Innovation, is known among other things for having developed a spectacular method to repurpose discarded and surplus jeans materials. 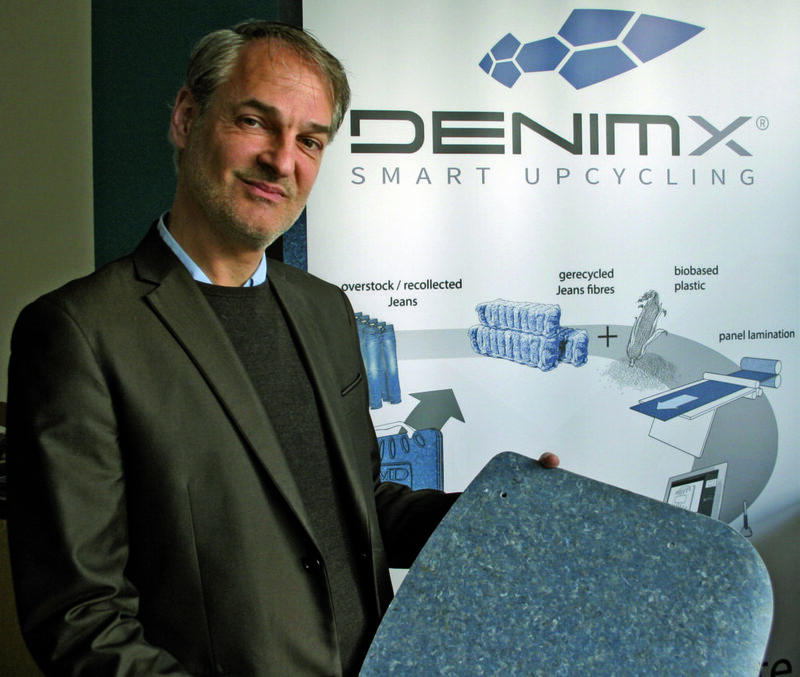 The result is a high-grade, state-of-the-art material: DenimXIn a nutshell: Meijers concocted the DenimX recipe, which combines recycled jeans fibres with bio-based plastics. With this composite material, three-dimensional products can be created. Trendy, solid and sophisticated. DenimX is quirky, a bit rebellious, authentic and certainly extraordinary. DenimX products do not only inspire through intelligent design, meticulous craftsmanship, and application in a wide variety of industries; they also contribute to a more sustainable environment. This year, Marc Meijers will be one of seven participating designers in the forthcoming second edition of In4nite. His work will be presented during Dutch Design Week 2018. By way of introduction; who are you as a designer? And who are you besides your profession? Developing innovative, well-made, and sustainable products is where my passion lies. The design studio’s leitmotiv; LOOK, MATTER, LAST, is coined this way for a reason. Notably, the word matter (as in: mattering; significance) acts as a representative for the value of a product, in my view. Innovation is all but an easy road, the process of which generally follows a pattern of three steps forward, two steps back. Personally, I am often distinguished by my passionate nature, my level of engagement and an intense character. I vivaciously take up challenges — for example, I have run the marathon eight-fold, and recently climbed Mont Ventoux. How long have you worked as a designer, and what brought you to engage in this profession? Do you hold any particular specialisation? Working as a designer offers what I consider to be an ideal combination of requirements; technical skills; creativity; conceptual thinking; and ingenuity. One essential aspect of quality design is bridging the gap between the rational and the emotional, and balancing these out. In short; talent, knowledge and commitment is called for in a variety of fields and on a number of levels — this matches my disposition and character. Today, having actively worked as a professional industrial designer for twenty-five years, our studio has delivered commercially successful designs and concepts to numerous companies of all shapes and sizes, each product incorporating the aforementioned equilibrium in design and technique. Furthermore, I am engaged as a specialist in smart upcycling for the last six years. This amounts to the conversion of surplus textiles into high-grade, composite materials with added value. The company that has resulted from this is DenimX. What is your background in terms of studies? I founded my own design studio, MMD Design Innovation, in Maastricht almost immediately after graduating. How did you get involved with In4Nite? I was approached by Soon Joo Bovenschen, who works with Low & Bonar. 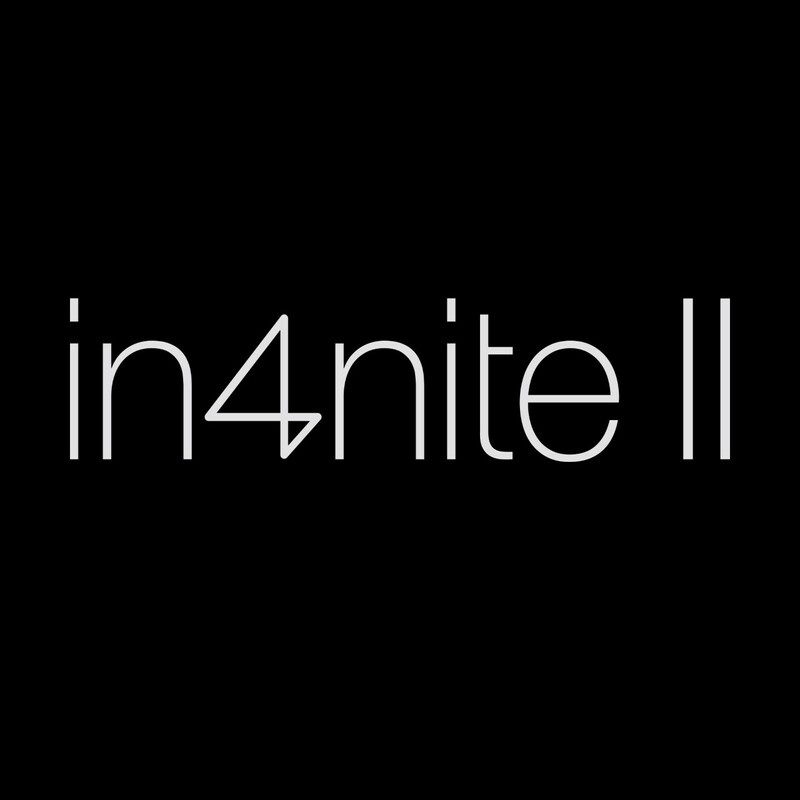 They were looking to expand the range of designers who had already confirmed participation in the In4nite project. Due to my specific background, experience and technical knowledge, my role can be viewed as complimentary to the other designers, who each boast a rich variety of qualities. The open structure of In4nite makes it an engaging initiative; it offers an appealing platform (Dutch Design Week) and leads to new networks and connections. At the same time, I enjoy the challenge of working with a designated material; to probe its possibilities and limitations. Have you worked with companies in the past? If so, how did this take shape, and what function did you or your studio fulfil in the collaboration? Essentially, we work exclusively for and in collaboration with companies. In most cases, we supply concept design, engineering, prototyping, and the configuration for series- or mass-production. This not only requires extensive knowledge of processing, production techniques and materials — but also sharp insight into marketing, commerce and sales. With what kind of materials do you prefer to work? As mentioned, my proficiency lies in the application of composite materials, textiles and synthetics. But also wood, steel, glass and ceramics have my attention — especially when the opportunity arises to create a synergetic combination of materials, allowing for optimal utilization of each material’s advantages. 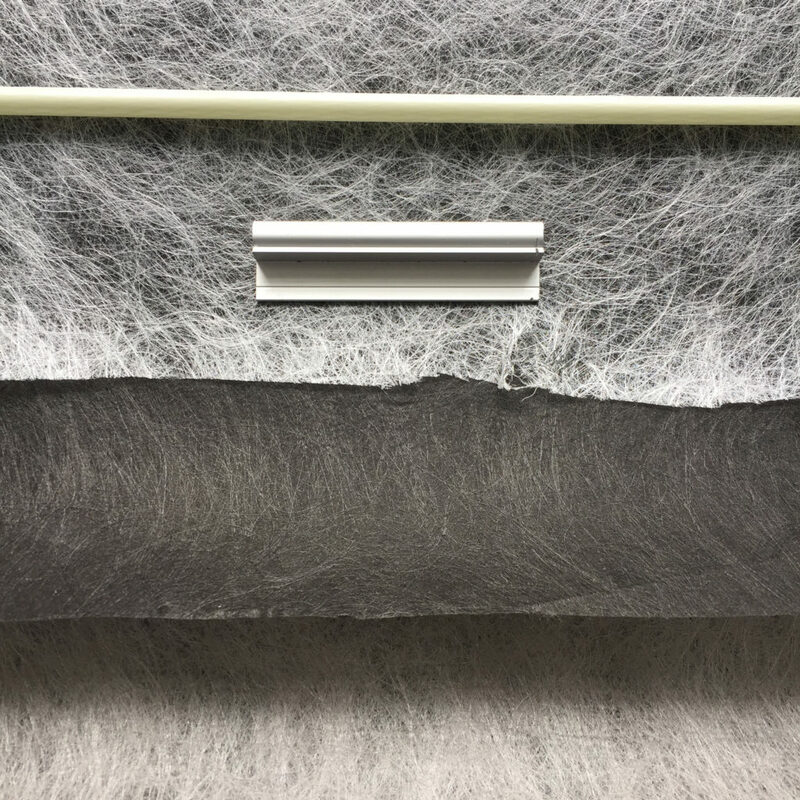 What is your take on non-woven materials? Have you worked with these before? With DeminX, we constantly employ non-woven textiles. The processing of the material might vary after production, but I am well aware of its production methods and the remarkable possibilities this offers. What do you think of the Colback material? Next to an aesthetic quality, Colback presents excellent opportunities to make use of its clear-cut functional features, which offers another range of possibilities to demonstrate the versatility of the material. In this project, what do you consider your biggest challenge? How will you approach that? For this project, the aim is to devise an attractive design that combines the aesthetic appearance of the Colback material with its outstanding tensile strength. The product should amount to an impeccable expression of the previously mentioned balance between technique and design, the rational and the emotional. When you begin a design process, what does that look like for you? 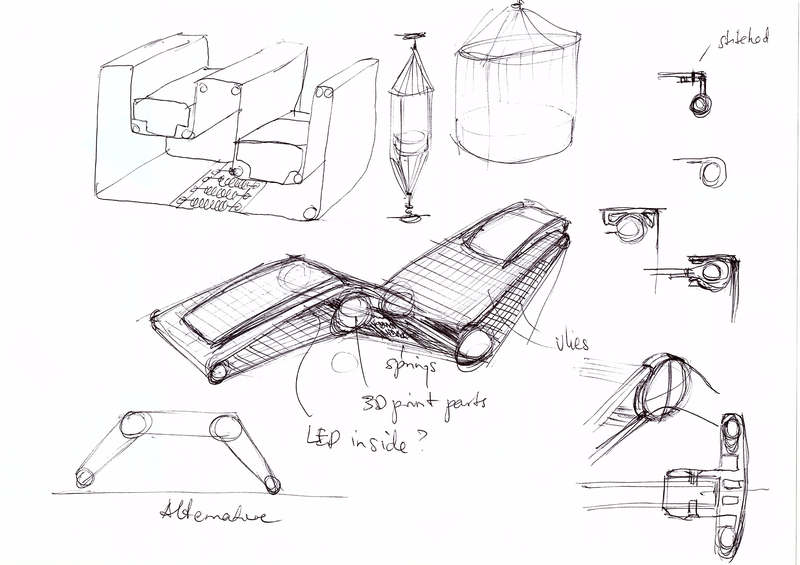 Do you make sketches; go into deliberation; or engage in theoretical research? Please tell us more. First of all, it requires somewhat of a mental jump to create something from nothing; to arrive to a concept design that incorporates all the basic points of departure. It starts with getting to know the material; deepening your knowledge of the assignment; researching reference products; and initiating a few material tests. What are your expectations of Low & Bonar in this process? I anticipate Low & Bonar to act as the initiator, facilitator and instigator of the project. They will see to the procedures, materials, communication and publicity, by means of which they can offer the designers a platform that allows them to excel, without having to carry the burden of commercial and financial restrictions. Innovation and progress requires an open mind, after all, alongside an incredible drive and passion. What do you hope to gain from your participation in In4nite as a designer or as a studio? In an alluring and innovative design, I aspire to expose unique possibilities of Colback that have not yet occurred to Low & Bonar, or their customers, markets and designers.